If we don’t make an effort to reduce climate change, in 100 years parts of Manhattan could be under water. That’s a scary thought, and just the kind of thought meant to be evoked by the ‘Unmoored and Wake’ by Mel Chin art installation that was unveiled today in Times Square. Unmoored and Wake is a public arts project that was created in partnership with the Times Square Arts, No Longer Empty, Queens Museum and Microsoft. The installation includes an enormous sixty-foot animatronic installation called Wake, which evokes the hull of a 19th-century shipwreck crossed with the skeletal remains of a marine mammal, and it is designed to work in a mixed reality environment. 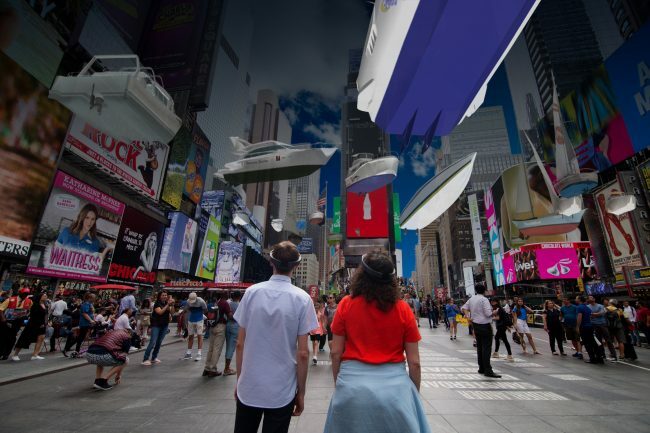 Passerby can download the Unmoored app to experience the whole mixed reality shebang of what it would be like if Times Square was under water. Alternatively, they can try a Hololens on site in order to experience what New York would look like if it was underwater. 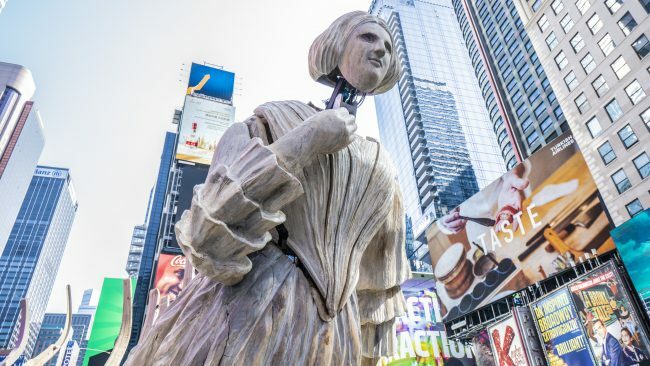 The art installation is open to the public from July 11th to September 5th at the Broadway Plaza between 46th Street and 47th Street.